Plumbing leaks are a common source of water damage in homes. A broken pipe can release a lot of water in a short period of time, and an undetected slow leak can cause extensive damage over time. To keep your home well-maintained, it’s important to understand how to prevent household plumbing leaks. If you have never dealt with a plumbing leak in your home, you likely don’t know the damage it causes. Water can damage your home’s structure, drywall, electronics, flooring, cabinets, and more. Water leaks also encourage mold growth. Homeowners can take these steps around the home to prevent household plumbing leaks. Insulate exposed pipes to prevent them from bursting. Detach hoses from outdoor spigots before the first freeze. When water freezes it expands, so the goal is to keep the water in your pipes from freezing. Maintaining a comfortable indoor temperature, even if you are away, will also help. Remember to open the cabinet doors under sinks on cold nights to warm up the pipes inside. Pipes may also rupture due to wear and tear, however, it’s hard for homeowners to determine the condition of a house’s plumbing system. Regularly ordering a home maintenance inspection by a professional home inspector can pinpoint potential issues and help prevent household plumbing leaks. 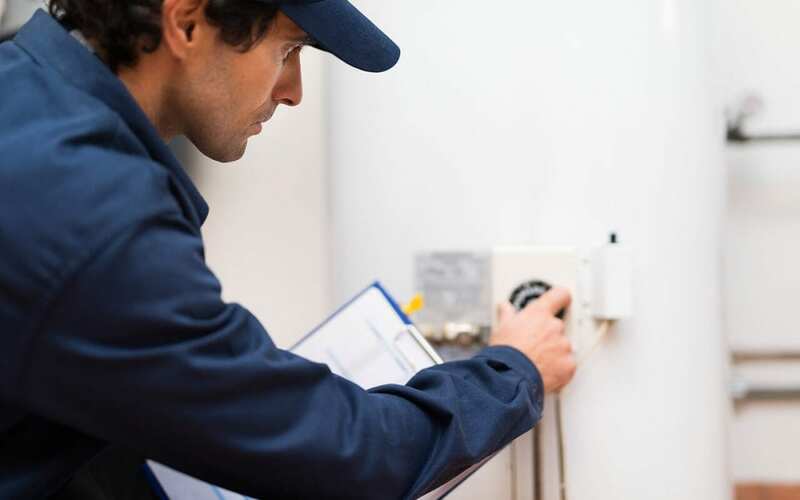 Your water heater might develop a leak for a number of reasons. For instance, the hose might get clogged or the metal tank may rust. Have your water heater serviced annually. This service will flush the tank and remove sediment. Leaky faucets are common and often ignored, yet most of these leaks are easy to fix on your own. Slow leaks waste a lot of water over time. With this in mind, make it a habit to check your faucets regularly. Plumbing leaks can lead to serious problems and expensive repairs. Fortunately, homeowners can prevent household plumbing leaks by taking these proactive measures. Home Guard Inspections provides maintenance period inspections and other home inspection services to the Bismarck-Mandan area in North Dakota. Contact us to book an appointment.